Austin Gallagher, the chief scientist of Beneath the Waves, a nonprofit working to conserve, protect and restore the health of our oceans, slings massive grouper heads around a cooler and arranges weights and buoys around the deck of the boat, as we prepare to embark on our first day of research together. Our goal is to find, catch, tag, sample and release as many sharks as possible. We will also apply behavioral tags to sharks to track their residency in the Bahamas Shark Sanctuary and conduct physiological work-ups to evaluate shark health. As a decades-long underwater explorer and ocean photographer, I accepted the invitation to observe the Beneath the Waves research team in action with some trepidation and an instinctive aversion to any intrusive contact with marine animals. Would the team’s data collection methods be overly stressful to sharks? Gallagher exudes childlike delight over the prospect of encounters with tigers, Caribbean reef sharks and hammerheads in these crystal-clear waters off Great Exuma Island in the Bahamas. Not a bad day at the office for this scientist who has been working in the island chain since 2010. “Truthfully, the most important thing for you to understand is that we do everything we can to minimize any harm or stress to the shark. I love these animals more than you could know,” he says. “Sharks live rough and tumble lives out there in the seas, where every day is life or death. Their immune system is strong—scientists have long been studying their resiliency under extremely stressful circumstances. I can tell you with confidence that anything these sharks might experience today from our research efforts should really be compared to a spa day relative to their normal daily agenda. We’ve got to collect the data, and this is the most cost- and time-effective method discovered to date to maximize research and minimize stress to the animal.” Gallagher explains how they have been catching the sharks successfully for a decade with a simple yet well-thought-out homemade bait-and-hook contraption that allows sharks to swim and roam safely until brought on board a vessel for the quick tagging process. The history of shark conservation in the area goes back several decades. In 1993, the government of the Bahamas banned longline fishing, which targets tuna and billfish but often snares sharks as bycatch. In 2011, they established their waters as an official shark sanctuary, adding a layer of protection and enforcing a no-kill/no-catch policy for sharks, except for those engaging in research with permits. In 2011, Gallagher spearheaded a now-famous scientific study of the value of live sharks to the Bahamian diving and tourism industry, which profoundly moved the dial as sharks are now legitimately recognized as being worth more alive than dead. Shark sanctuaries are management tools for coastal and island governments seeking to reduce shark mortality in their waters by prohibiting commercial fishing of all sharks, the retention of sharks caught as bycatch, and the possession, trade and sale of sharks and shark products within a country’s exclusive economic zone. In 2018, Beneath the Waves launched one of the first long-term studies focused on understanding the benefits of shark sanctuaries to sharks throughout the year, with a long-term project focusing on the Bahamas Shark Sanctuary. Tagging is at the core of their efforts. “We are implanting various species of sharks in the Bahamas with internal acoustic transmitters and monitoring their habitat use throughout the year with fixed receiver stations,” Gallagher explains. The shark-tagging process typically takes under seven minutes, and also includes drawing blood and tissue samples and recording the new identification for the research initiative. The acoustic tag will send out a ping with a uniquely identifiable code every 60 seconds or so for the next seven to ten years. At the end of the process, the shark is released freely back into the open ocean. “I think this project is going to be a game-changer for sharks,” says Gallagher, whose team has completed 3 large-scale trips to the Bahamas in 2018, implanting over 60 sharks with transmitters, creating arrays on two islands, and fostering collaborations with other groups in the Bahamas also studying sharks. 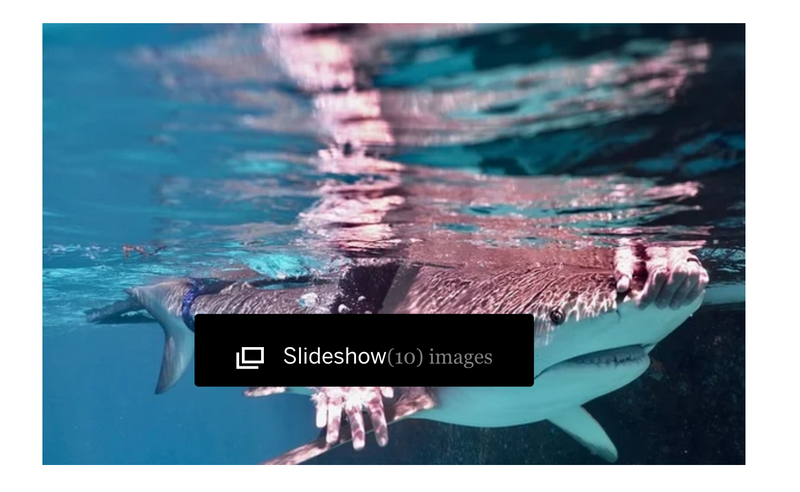 Through their work with the Bahamas Shark Sanctuary, Gallagher and his associates hope to show that a live shark is worth a certain amount of dollars per day for diving tours. Multiply that by the days a tourist spends in the country, you have a monetary incentive to conserve them. Fish as Food or Fish as Wildlife?